China's top antitrust regulator will beef up its forces next year as the country redoubles its efforts to battle price fixing. Xu Kunlin, head of the department of price supervision at the National Development and Reform Commission, China's top economic planner, said on Wednesday that his Beijing department and local price supervision offices will recruit at least 170 new employees for the antitrust law enforcement team. About 20 of the new staffers will be based at the Beijing department of the NDRC, and the rest will join local units to look into monopoly practices. The Beijing office currently has 46 employees. The unprecedented expansion is being hailed as a powerful means for protecting fair competition in China. It also reflects the country's determination to deal with price fixing at a time when the central government has vowed to limit the number of government employees in order to hold down costs. It was the second time Xu's department added staff since he took office in 2009. The NDRC workforce almost doubled in 2010, and local economic planning commissions were asked to set up offices to deal with price fixing. The annual budget of the department also has doubled since 2009. "Sometimes, local offices are in a better position to carry out antitrust investigations into local companies than the Beijing office, since they can counter resistance from local governments," Xu said. With more workers, he said his department also can increase scrutiny of business practices that may lead to "unreasonably high prices for consumers" and those industries that "harm the consumers the most". The NDRC said its antitrust probes focus on six industries — aerospace, daily chemicals, automobile, telecommunications, pharmaceuticals and home appliances. Ongoing investigations include a probe of Qualcomm Inc, a leading US chipmaker, and an alleged vertical monopoly in the supply chain of imported cars. 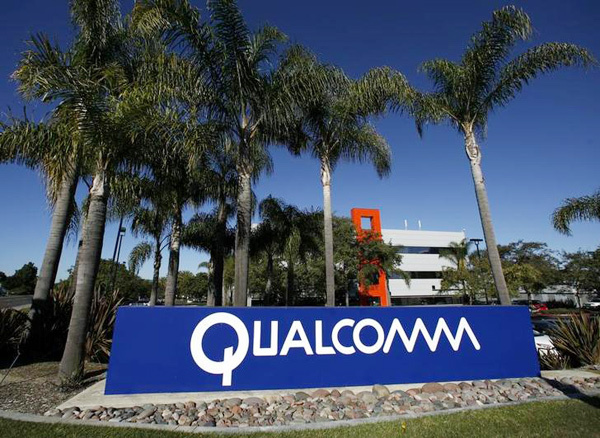 Qualcomm said that Chinese regulators launched their antitrust probe in late November, adding that it was "not aware of any charge by the NDRC that Qualcomm has violated the anti-monopoly law". Xu said the agency obtained "substantial evidence against" the company. As for an auto monopoly, he said there are "more or less" anti-competitive practices in the sale of imported cars and even their parts, since the vehicles can be sold in China only through one authorized distributor, according to a sales guideline issued in 2005. "We have launched an investigation in the field for a long time, but it's not time to release it," Xu said. In August, regulators also levied a record fine of 670 million yuan ($109 million) against six foreign producers of milk formula for price fixing. Xu added that the three anti-monopoly agencies in China have "overlapping" responsibilities and said they should be merged into one government body tasked with carrying out unified law enforcement efforts. Shi Jianzhong, a law professor at China University of Political Science and Law, said enforcement has significantly improved in the five years since the anti-monopoly law was passed. Ye Guangliang, a professor of economics and finance at Renmin University of China, said the nation's antitrust agencies face more challenges in the economic field than ever, such as the calculation of illegal gains. "If the market is free to set prices, identifying a reasonably high price would be difficult. For instance, would a bottle of milk formula selling for 200 yuan be reasonable, or (one selling for) 300 yuan?" he asked.